As a teenager I always suffered with bad skin, I am now 25 and thought I would have grown out of it by now but unfortunately I still suffer from breakouts. 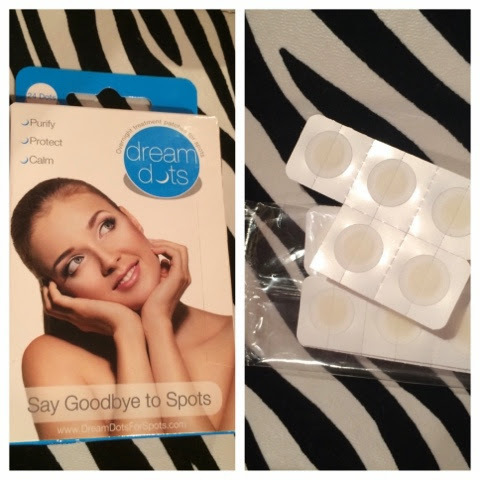 I saw Dreamdots advertised on Twitter and really wanted to try them! (www.twitter.com/dreamdotshq). As you can see below they are small circular patches to put over your spots. I am getting married next July and it is my worst fear to wake up that day with a massive spot on my face! I am trying to tackle the problem early by trying to find a solution to my skin problems within the next 6 months. I know pictures of spots aren’t the nicest of things to look out but when talking about a product like this there is no point blabbering on without showing the results! You can see a before and after picture below as well as a picture showing the dreamdot on my skin. I could feel a spot comig up next to my nose so took the opportunity to try out the product. This product was simple and easy to use and I could really tell a difference the next morning when I woke up. 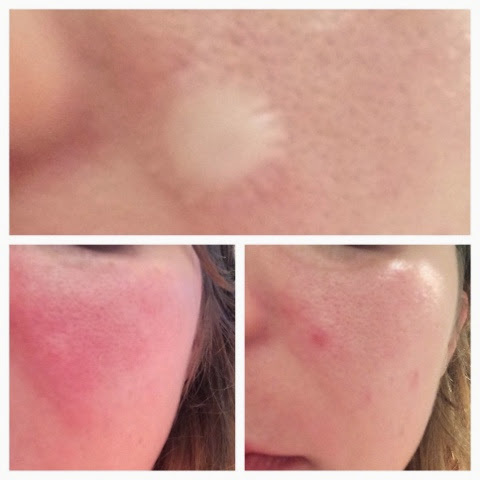 When first putting it on I thought it might feel strange or I would feel it stinging like I do with most spot treatments but I couldn’t feel it at all. The next morning I almost forgot it was there. When I first peeled it off I was quite amazed at the results. The spot had reduced dramatically and I was really impressed with the results. I would definitely recommend these!